How do you solve a problem like Die Meistersinger von Nürnberg? This is essentially the question, I think, that some directors have used as the starting point for productions of Wagner’s comedic masterpiece. The answer though, it seems to me, depends largely on how problematic, if at all, one believes the work to be in the first place. 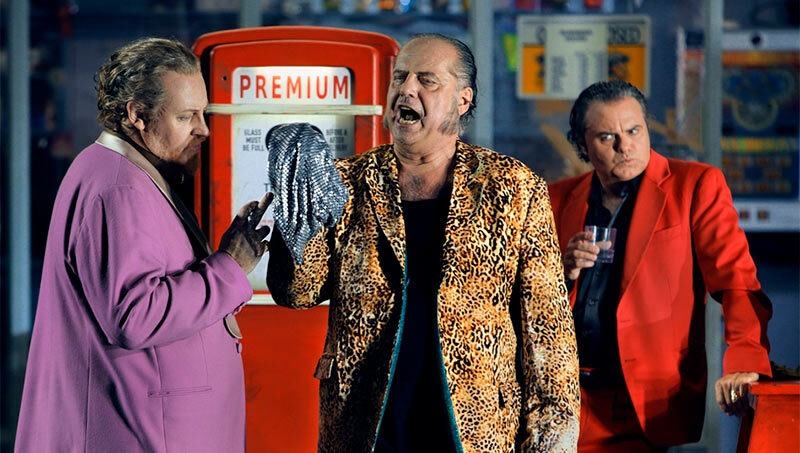 Harry Kupfer, director of more than one Bayreuth classic, once said that we should stop apologizing for the piece; Barrie Kosky, though, clearly sits on the other side of that argument - for him, the work is very problematic. Built around the alleged personality traits of Richard Wagner himself, Kosky’s new production for the Bayreuth Festival treats the opera as having an inherent anti-Semitic subtext, a subtext with which he sees a relationship, if not quite a causal one, with the horrors of the Third Reich. In this production, it is Wagner, not Göring on trial in Nuremberg in 1945, and the jury is still out. The exposition of the staging’s main themes throughout the first act are, at least some of the time, promising and well executed, and the opening scene is skilfully realised. As the overture begins, the curtain rises on the central room of the Villa Wahnfried, and shows us a typical domestic scene in the Wagner household: Richard gets a new pair of shoes delivered; Cosima has a headache, but seems to perk up somewhat after receiving a new shawl and a painting of her; while her father Franz Liszt and conductor Hermann Levi are also in attendance. The interactions between them all are detailed, in-keeping with popular perceptions of their characters, and well-coordinated with what we are hearing. In particular, the sight of Liszt and Wagner playing the hot-off-the-press Meistersinger overture together on the piano – just the sort of thing Richard was known to do for guests – is a delight. It is here too that the first directorial idea is seen, as when Wagner plays, people emerge from inside the piano and blend into the surroundings. These characters – Walther, David, and later during the act the members of the guild – are presented to us metatheatrically as Wagner’s artistic creations. Our cast of characters are not just figments of Wagner’s creative imagination though, but also aspects of his own personality. Hans Sachs, Walther and David all appear dressed as Wagner himself, complete with chinstrap beard, frock coat and felt hat. With Walther’s first lines it also becomes clear that Eva is partly Cosima, and therefore Liszt will be Veit Pogner. This is a worthwhile idea for sure, as Wagner often drew on his own life experiences for the composition of his operas, and identified to some extent with various characters. Whether it be his doomed love for Mathilde Wesendonck providing inspiration for Tristan und Isolde, or his signing of letters to Cosima under the name Hans Sachs, it is clear that there is a little piece of Wagner in much that he left to us. Going hand in hand with this exploration of Wagner himself, is an attempt by Kosky to deal with the ‘Germanness’ of the opera. When the guild members appear dressed more like Albrecht Dürer than Dürer himself, we know we are witnessing aspects of a stylised Nuremberg - the Romanticised, idyllic version of Wagner’s dreams. The question of what this means, and what part it played in Wagner’s musico-political ideology is also very much worth exploring, for not only is Wagner’s concept of ‘deutsch’ a crucial element to the work, it is unquestionable that the Nuremberg of Meistersinger did not exist in reality, just as the ‘period’ music Wagner created for the work does not belong in the early 16th Century. But here comes my first problem: Kosky does not really ask us to think about what Wagner’s concept of ‘deutsch’ is, nor does he attempt to explain its origins. There is no questioning of what the nature of Wagner’s nationalism was, what its cultural, historic and philosophical influences were, or how European politics in the 19th century helped to shape it. There is not even a discussion on what being German might mean in general to us now. Instead, Kosky merely presents to us as fact - with more than a hint of mocking – a superficial depiction of how he views Wagner’s fantasy Germanness, and then immediately suggests that we reject it morally. The guild members react to Walther’s song in ever-increasing melodramatic fashion, before they and the imaginary room at Wahnfried and are drawn upstage and out of sight at the end of the act, and are replaced by the court room of the post-war Nuremberg trials. With all the evidence of a few mediaeval caricatures, the link is already being made between Wagner’s Germanism and Nazism, my concerns about which will only grow as the evening continues. Before that though, the equating of historical people with characters in Meistersinger also becomes intertwined problematically with the ‘German Question’ through Kosky choosing to cast a reluctant Hermann Levi in the role of Beckmesser. It’s reasonably clear from the first scene where this is going: during the chorale, the Wagner family and guests kneel down and pray as part of a private Christian service; Levi, being Jewish, does not, but is then coerced uncomfortably into joining in at the insistence of Wagner. 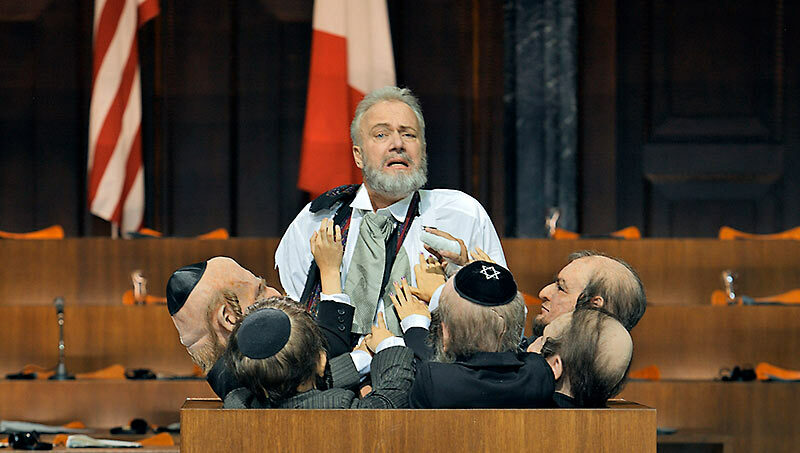 This dramatization is a clear reference to Wagner’s infamous suggestion that Levi should convert to Christianity in order to be an appropriate conductor for the first performances of Parsifal. The idea was, of course, met with short shrift, and as far as I am aware, not suggested again. Later in the act, the still-reluctant Levi is corralled into playing the Marker at the behest of Sachs/Wagner, and critiques the Young Wagner/Walther from behind a picture of…the Young Wagner; signifying what, I’m not sure. In any case, taken together with the fact that Beckmesser is one of the characters most frequently cited as evidence of Wagner’s anti-Semitism infiltrating his operas, the production’s treatment of Levi in the opening act sets up a means by which to compare Wagner’s anti-Semitic actions towards him, with the treatment of Beckmesser in the opera. Indeed, this idea becomes the crux of the second act. After having a lute forced upon him by a picnicking Wagner, Levi/Beckmesser attempts to woo Eva with night-time serenade. Is this also a reference to the time Levi was accused of having an affair with Cosima? Perhaps, but to cast Levi as even a reluctant wooer of Cosima seems bizarre, given his obvious hurt at the rumours and Wagner’s reassurances to him that he didn’t believe a word of it. In any case, the scene, with which little is done directorially except for providing a covering of grass for the courtroom in Nuremberg, develops towards its riotous conclusion, where the townsfolk turn on him – and him alone – kicking and beating him. After staggering to his feet, a large caricatured Jewish head – very much the stuff of Nazi propaganda - is placed upon him, while an even bigger inflatable version fills the rest of the stage, before deflating and leaving us seeing only the Star of David. As the crowd departs, Sachs/Wagner remains and looks on in shock. With such imagery and the location of the act – still in the Nuremberg courtroom - Kosky seems to be firmly drawing a historical line: Wagner was anti-Semitic, his anti-Semitism can be seen both in his personal relationships and in the makeup of Beckmesser, and these actions – even though perhaps unintentionally – paved the way for the beating, and later murder, of Jews by the Nazis. The big issue I have with all of that, essentially, is that I disagree. I realise that, in some ways, this is a rather peculiar thing to write in an opera review, as it is only normal to disagree with certain aspects of a staging, and a good thing to have one’s own preconceptions about how a work ‘should’ be done challenged. In art, there is often no such thing as right or wrong, and I certainly wouldn’t want to arrive at Bayreuth every year and simply walk out saying “correct” – I would hope I am more Sachs than Beckmesser myself. But when it comes to issues such as whether Beckmesser is or is not anti-Semitic, and also whether the ‘Germanness’ of Meistersinger has a kinship with Nazism, I feel that these questions are so fundamental, not just to how successful this production of Meistersinger is, but also to how the opera in general is viewed as an artwork, that they are not something that can easily be treated as just more ideas thrown into the directorial mix. They profoundly affect the environment of Wagner performance for future generations, and this is even more the case when these theories are used as the central pillars of a production’s concept. Of course, we know of Wagner’s anti-Semitism from his prose writings, and in the wake of the murder of Heather Heyer at the hands of white supremacists in Charlottesville, it is as important today as it ever was to confront such hateful views, and to find a way to stamp them out. The question though, is whether confronting such views by telling us they exist in Meistersinger is a helpful way to do this, and to me the answer is no. I just do not see what Kosky sees in the piece, and for me, putting these theories forward only succeeds in taking a work of art that can has a great deal of hope and positivity in it – Andrea Moses proved in Berlin what joy can be brought from a production that explores what being ‘German’ means – and turning it into something no longer capable of contributing to the public good on its own terms. So why do I disagree with these theories anyway? After all, we know that Wagner at least partly had the critic Eduard Hanslick in mind when conceiving of Beckmesser, and that Hanslick had borne the brunt of some of Wagner’s anti-Semitic ravings in his revised version of ‘Das Judenthum in der Musik’, published not long after Meistersinger premiered. Is that not ‘proof’ enough? Well, what is also the case is that Wagner never mentioned in any of his writings, not even once, the merest hint that he saw Beckmesser as representing Jewishness. This is despite the fact that Wagner liked to talk - a lot - both about what his intentions were with his operas, and about the fact that he hated Jews. Given this, does it not seem probable, that were the Jewishness of Hanslick or anyone else a significant train of thought in the characterisation of Beckmesser, he would have said so at some point? And given that Beckmesser’s primary role in the plot of the opera is that of an old-fashioned, pedantic music critic, does it not seem likely that Wagner’s views of Hanslick’s musical criticism were more pertinent to the characterisation? For me, the essence of the character is that of a malcontent, a man in many ways respected throughout the town, but also variously defensive, pernickety, conservative and pompous. Anti-Catholicism may also be in play to some extent in the final bars, as it has struck me that there is at least a passing similarity in style between Sachs’ monologue and Martin Luther’s famous Reformation hymn ‘Ein feste Burg ist unser Gott’, a hymn which was taken up in a quasi-Protestant-nationalistic fashion in the early 19th Century. 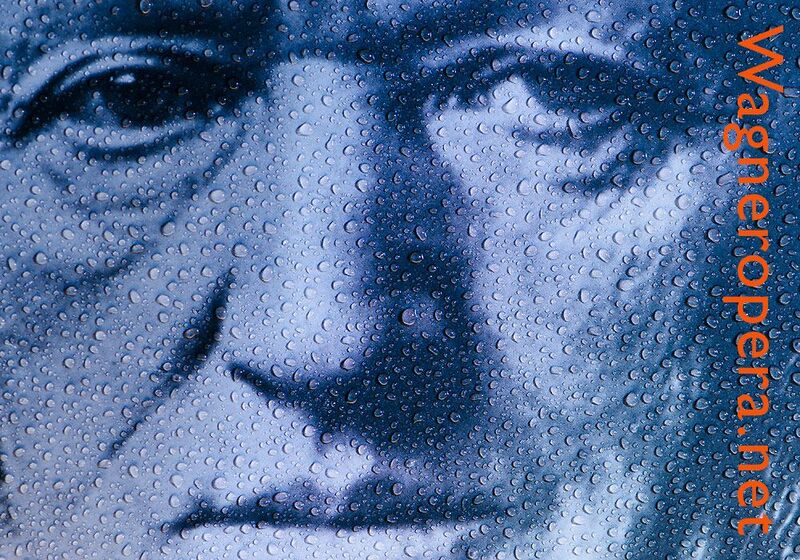 Now, one may well disagree with Wagner’s cultural, linguistic, spiritual, even to some extent metaphysical, brand of German nationalism; and it goes without saying that the anti-Semitism on display in some of his writings is completely appalling. But the idea that the latter is on full, toxic display in Meistersinger, and that the former somehow ties in with it and justifies an equivalence with the crimes of the Nazi regime, I find extraordinary. What’s more, with respect to Beckmesser, not even the Nazis themselves drew such a comparison. In an exhaustive examination of propaganda and publications from the 1930s, David B. Dennis “uncovered no evidence that Nazi cultural politicians, or their volkish forbears and associates, referred in public discourse to the character of Sixtus Beckmesser as Jewish, or to his fate in Die Meistersinger as foreshadowing National Socialist policies against the Jews.” Given that the Nazis promoted anti-Semitic interpretations of just about anything they could get their hands on, then the absence of any attempt by them to treat Beckmesser in this way is, surely, very telling. What is all the more disappointing is that Kosky does show at least some awareness, albeit in typically haughty fashion, of other possibilities for Beckmesser in his programme notes when he says “the French, the Italians, the critics, the Jews. You name it, Wagner hated it and it all ends up in Beckmesser”. He also acknowledges that Beckmesser’s Act II song is derived from Italian operatic traditions. I don’t even agree that these are the only things that make up Beckmesser’s character – Kosky misses out German for one thing – but an attempt to dig down into ‘wälsch’ elements of Beckmesser, perhaps even alongside a more subtle and less didactic search for any anti-Semitism in the character, would have been interesting. Given the other statements that I have quoted though, and the fact that his staging makes no attempt to explore any Italian, French or musico-critical roots to the character, I can unfortunately only conclude that this was no more than lip service to the sort of discussion I have outlined in the previous paragraphs. Aside from perpetuating what is becoming an ever more tedious discussion about Wagner and the Nazis, what Kosky’s focus also does is create further problems by leaving little time or space (insert Gurnemanz joke here), to explore any of the other topics that Meistersinger is about, namely art, creativity, and love. The third act continues in the courtroom, which becomes filled with more chocolate-box mediaeval Germans for the final scene, until Wagner/Sachs delivers his monologue alone from the witness stand. As he began to conduct a second orchestra that appeared on stage during his appeal to ‘heil’ge deutsche Kunst’, I realised that it was the first real time in the entire evening that the production had been primarily concerned with the nature or importance of art. Frankly, by this point, it was too little too late, and Kosky’s rhetorical question of whether the music justifies the alleged racism he sees in the work seemed entirely superfluous, as the production had, to my eyes, already widened the goalposts and scored the goal for us. Regarding the absence of love in the production, this seemed to be a part of a more widespread issue deriving from the doubling of characters with Wagner and his inner circle. Although, as I said, I believe this idea was not without merit, its execution – perhaps its overuse - meant the youthful exuberance and excitement Eva has for Walther was nowhere to be seen – it’s not very Cosima after all. Consequently, there was a distinct lack of chemistry between the two lovers. There was some restrained affection between Eva and Sachs, but this led to the confusing situation of having someone who is, in part, the older Wagner, seemingly reject Cosima. There were other similar difficulties – does it make sense for an older Wagner to be perplexed by the newness of the music of his younger self? - and in general, I found that having two people exist within one body led to a lack of focus on the actual characters written in the opera. Too much time was spent wondering whether it was Wagner or Sachs, or Levi or Beckmesser, who was supposed to be doing this or that, with the result that Sachs or Beckmesser themselves never quite became fully fleshed out on their own terms. I simply did not feel I really knew who these people were. Speaking of Beckmesser, I was not only concerned about the production’s treatment of the character, but also somewhat about its treatment of Levi. Without doubt Wagner could be cruel to Levi, and I make no attempt to excuse that. However, it is also a fact that they were friends. Just as Frank Sinatra could spend the night cracking racist jokes at Sammy Davis Jr.’s expense during a Rat Pack gig, and also find the generosity to pay his hospital bills when he was ill, so too could Wagner find it in himself to tell Levi he was his musical “alter-ego” when it came to Parsifal – no small praise. One could certainly argue that such unbalanced friendships, in which the dominant individual is sometimes abusive toward the other, should never be presented as ‘normal’, or glossed over. But at the same time, I don’t feel that presenting a warts-and-all friendship, as opposed to just the warts, necessarily implies that there is nothing of concern in that friendship. Rather, it permits a deeper exploration of the relationship of two men, and allows a greater understanding of why a man like Levi would choose to hang out at Wahnfried so much in the first place. By depicting him as almost constantly picked on, as was the case here, it reduces a man who was a great musician in his own right, with serious thoughts and the ability to form friendships of his choosing, to just a helpless victim in the thrall of the great Wagner. Victim he may have been on occasion, but this was a friendship chosen not just by Wagner but also by Levi, and to depict it otherwise I feel diminishes him. My ability to get emotionally involved in the performance was, alas, not helped by Philippe Jordan in the pit, as we were once again treated to his brand of Diet Wagner, which in some cases came perilously close to Wagner Zero. I heard him conduct Meistersinger in Paris last year, and wasn’t a fan then, and this reading too did precious little for me. Given that the unique nature of the Bayreuth pit already lightens and softens the orchestral sound on its own, seemingly doing it even more is, to me, a curious choice, especially in Meistersinger, the contrapuntal demands of which I suspect may be a particularly tough nut to crack in this acoustic. Dynamic contrast was lacking – the full range seemed to be from pianissimo to around mezzo forte – and there was an underlying absence of bass, and drive thereof, throughout the reading. Tempi were usually brisk but felt more bus-to-catch than Böhm; except when they were not, which didn’t seem to happen for a particular reason, and led merely to occasional moments of ponderousness. The end result was a performance in which the orchestra was strangely anonymous, and which failed to provoke much of a response in me at all, surely the cardinal sin. There are of course lighter moments in the score, and on occasion Jordan’s treatment of gently-scored passages revealed interesting lines; but for them to really mean something they must emerge from, and flow seamlessly into, the sweep, grandeur, profundity and thrill that other moments demand. Unfortunately, on this evening they did not. Vocally, the news was much better. Michael Volle, surely the leading Hans Sachs of today, gave a nuanced and assured performance, with a beautiful sound allied to an attention to text and delivery to rival any singing-actor in the world. Like several other performers, the idea that his character was also an element of Wagner’s personality made his job more difficult in terms of also getting a fix on who the non-Wagner element was as a person; I did not feel he entirely overcame this, although I’m not sure anybody could, but what we did get was a wide variety of emotions – anger, wistfulness, joviality, worry, frustration – conveyed at different times. I am not sure I have much left to say about Klaus Florian Vogt, given that he must have been the lead tenor in about eight of the last ten Wagner performances I’ve seen. Nevertheless, for the record, he once again put on an admirable display of vocal beauty as Walther. Could there be more tonal variation? Of course, and that is something that will hopefully grow in the coming years. But in my view, the sweetness of his voice continues to make for exceedingly pleasant listening. Like Volle, his character too felt slightly watered down by its cohabitation with Wagner, but his acting, also sometimes a bit samey across operas, was more than solid. Johannes Martin Kränzle was a fine Beckmesser, in a performance that brought more gravitas to the Marker than many, but that still handled the comedic aspects with a deft, characterful touch. And in an era when one can easily reel off a list of excellent Wagnerian basses – René Pape, Georg Zeppenfeld, Stephen Milling, Kwangchul Youn, Albert Pesendorfer – I’m not sure that Günther Groissböck isn’t the best of the lot. I was mightily impressed with his Fasolt in last year’s Bayreuth Rheingold, and no less impressed with his Veit Pogner this year. What can one say? He has a wonderful, rich, weighty tone, and is a top-class actor. Hell, he even looks a bit like Hans Hotter. He’s signed up to play Wotan in the next Bayreuth production, and at the age of only 40, I fully expect that to be the start of a wonderful journey. If the four singers I have mentioned were known quantities, then the revelation of the night for me was Daniel Behle as David. I had not encountered him before but I certainly wish to again, as his was the best David I have seen and heard in the theatre, and no slouch against my favourites on record. David is one of those parts, perhaps like Malvolio or the Fool in King Lear, that seems written to steal scenes almost no-matter who is playing it. As with those Shakespearean roles though, it is a lot more difficult to live up to David’s material than one might think, and I have seen a number of so-so renditions of the role in recent years. Not so Behle, who injected all the energy and fun into the “rules” monologue one could wish for, and acted it out with virtuosic vocal inflection and demonstrative physicality. He did this, moreover, while making it seem like it was the easiest thing in the world to sing, which it definitely isn’t, particularly when the top Bs start appearing after ten minutes of non-stop vocal acrobatics. Less at ease in her role, unfortunately, was Anne Schwanewilms as Eva. I have a lot of sympathy, as I feel like she was on a bit of a hiding to nothing with the part: even more so than the singers in roles that were Richard Wagner alter-egos, I think her ability to bring across the risk-taking, rebellious nature of Eva was severely hampered by the directorial remit, i.e. to play Eva more like one thinks of Cosima. Vocally though, she did lack the beauty of tone one hopes for in the role, and at times seemed underpowered. Wiebke Lehmkuhl gave us a fuller tone as Magdalene in a reliable performance, while all the guild members were well taken; special mention among them though goes to Tansel Akzeybek as Kunz Vogelgesang, who continues to suggest he is capable of more than the small roles he has thus far been given on the Green Hill. Ultimately then, while the evening succeeded in giving me something to think about, and contained a lot of good singing, I was left very unconvinced by a concept that drew heavily on things I don’t believe the piece to really be about, and that neglected a lot of things that I do. There was just no joy: frankly, instead of a celebration of creativity, it felt more like a slandering of it. What I found most depressing, was the thought that some people new to the piece might see this production, or else read about it in the papers, and be left with the impression that Meistersinger is an irredeemably racist work, one that they should not enjoy, or at least only enjoy with large caveats in place. Worse still, they may think they should view all of Wagner’s works in this way. As I think I’ve made clear, I firmly believe this not to be the case. By continuing to play dot-to-dot with Meistersinger and the Nazis, it seems to me we are both letting a warped, evil ideology wrongly determine what a great work of art is about, and also potentially depriving future listeners of the joy it can bring. I love Meistersinger; it celebrates art, it makes me happy, and I don’t feel conflicted about liking it. If any readers do feel conflicted about liking any of Wagner’s operas though, I urge you not to listen to me but to Hermann Levi. When his father wrote to him in 1882 saying how he wished he could like Wagner, Hermann’s first words in response were: “You certainly can and you should”. Sam Goodyear is an opera fan and Wagner enthusiast, originally from Portsmouth but now living in Germany. He read history at Peterhouse, Cambridge, and has at various times worked as a bookie, translator, trader, journalist, and TV researcher. He currently works in socially responsible investment. While very much an amateur, his interest in music has in the past led to him singing on BBC radio, and playing the trumpet in front of the queen. He attends as much Wagner both at home and abroad as time and money will permit, and he has written on Wagner for Classical Music Magazine.